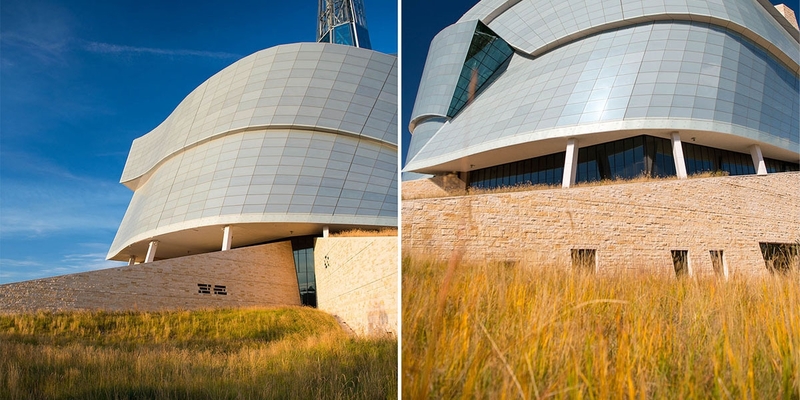 Scatliff + Miller + Murray (SMM) was retained by the Asper Foundation in 2000 to assist in the development of the vision for a world class museum that confronted the universal concept of Human Rights. 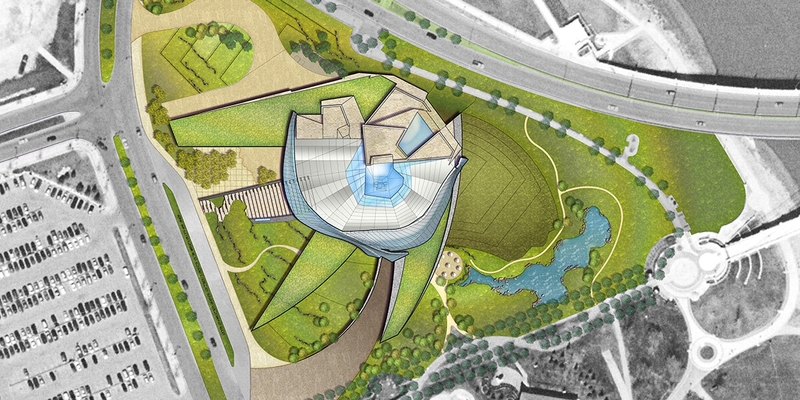 The bold vision for this museum was for it to sit within the timeless landscape: a tall grass prairie sweeps over a rolling landscape, evocative of the importance of our natural landscape. 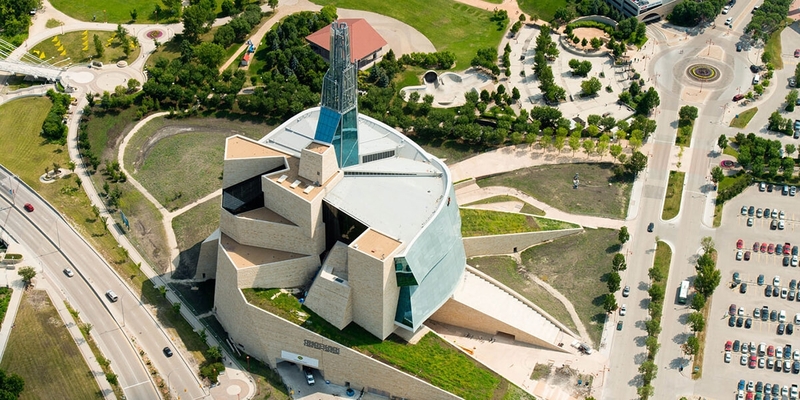 LORD Cultural Resources, SMM and GBR Architects collaborated with Moe Levy of the Asper Foundation to create the feasibility report that included: siting, program development and the development of all the documentation that was taken to the Prime Minister to make a case for a the first National Museum outside of Ottawa, to be located in Winnipeg at the Forks National Historic Site. From that point, SMM were retained to assist in the development of the international architectural competition, coordinate and participate on the technical jury, and then were the only consultants directly appointed the project, as landscape architects, to work alongside the juried winner, Antoine Predock. SMM spearheaded the development and execution of the landscape for this 5+ acre site, including over an acre of green roof development. The bold vision for this museum was for it to sit within a seemingly ‘timeless landscape’. Tall grass prairie sweeps over the designed rolling landscape, evocative of the importance of our natural heritage. Areas for large public assemblies are provided, carefully planned to meet international security protocol. 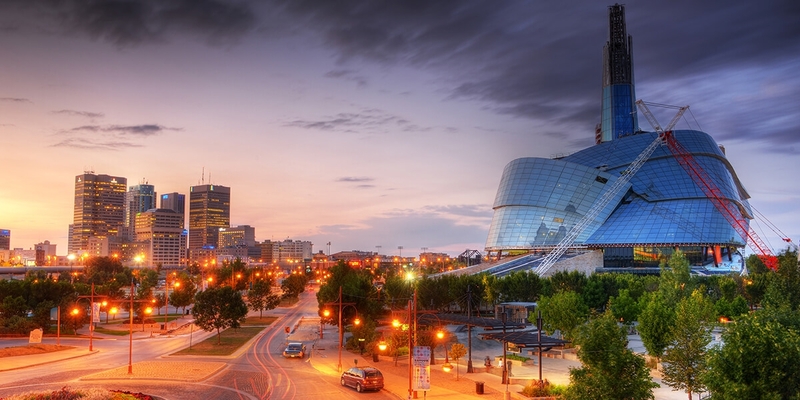 SMM continues to be retained by the CMHR to continue to develop a number of areas that were not completed in the first phase of site development, including: the Group Entry Plaza, the east facing Patio, and the integration of indigenous interpretation into the greater landscape.